What is it like to be Christian in Wenzhou, the city known as China’s Jerusalem? China is an atheist state, officially, but Christianity is booming. It is estimated that there are more Christians in the country than members of the Communist Party. Danny Vincent travels to the south-east coast to the city of Wenzhou – known as China’s Jerusalem. 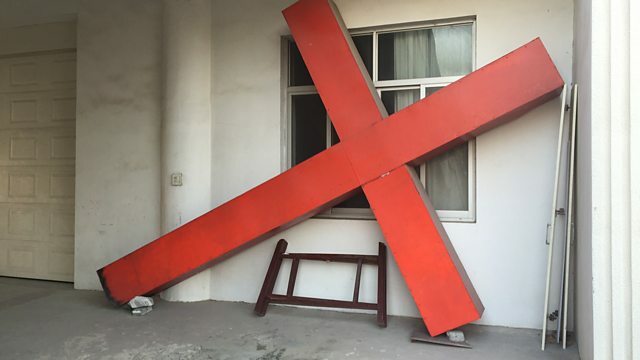 In Wenzhou, he discovers the scale of the recent demolitions by the government of crucifixes, the most venerated symbol of the Christian faith, officially because they are too tall or illegal. It is estimated that 1,700 crosses have been knocked down since 2014. Danny Vincent travels to Wenzhou to meet Pastor Zhang, an illegal pastor in one of the thousands of underground churches that serve the millions of Chinese Christians. However, he also meets a pastor from a government registered church who defends the crosses being taken down and how he says the real reasons that crosses are demolished is because they are illegally built and not because the Chinese government is so concerned about the meteoric rise in the faith.